The extensive Brickweb portfolio of local, national and international clients is testament to our superlative levels of technical expertise and customer service. As our company has grown and evolved, we have held rigidly to our core belief that every business is different and therefore has different needs, leading us to provide a deeply personalised service to each and every one of our clients. Our success in providing comprehensive internet solutions to a truly diverse range of clients has meant that our operations have expanded beyond the United Kingdom, with Brickweb offices now present in Ukraine, Canada, the USA and France. A consistently professional and practical approach has led to major successes for many of our clients whom, since Brickweb have been managing their internet presence, have noticed dramatic rises in website traffic, sales and brand-awareness. As e-commerce and m-commerce now play such a central role in business, a great many web development companies have quickly come into existence. 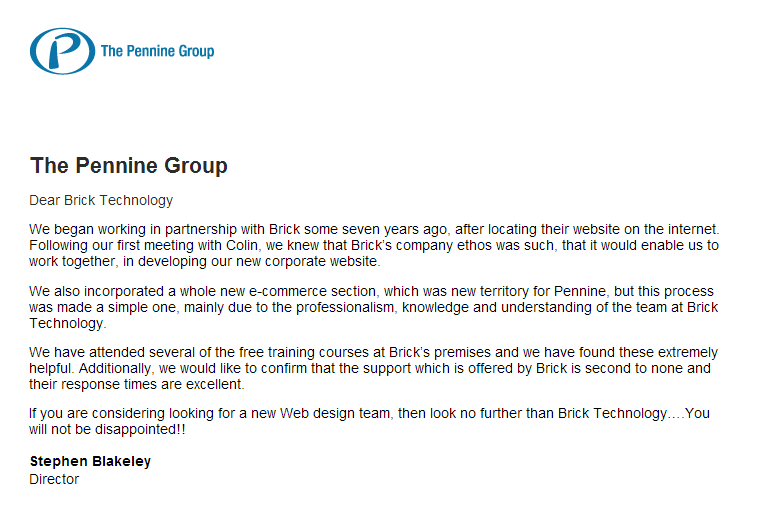 With more than 17 years experience in the industry, we believe that Brickweb is a superior choice to such companies. Put simply, Brickweb offer a complete, reliable and honest service that has ensured our continued growth and the cementing of our impressive reputation. None of these claims are made idly. As part of our commitment to providing an expert, personal service, we arrange regular focused meetings with our clients during which progress is evaluated and new plans put into place to ensure that all stated business objectives are achieved. We also ask that our clients give us continual feedback on their experience with us in order that we can optimise our services accordingly. As well as our gallery of case studies, we also feature a 'Client Testimonials' page on our website. These testimonials show how Brickweb have aided the growth and development of businesses by providing them with our world-class internet marketing solutions. 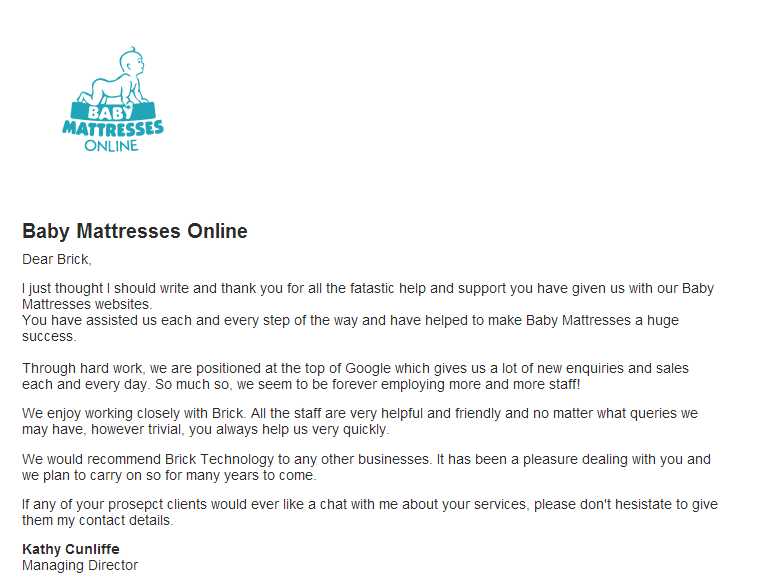 To find out why our clients 'would recommend Brickweb to any other business' and why our websites 'leave all the competitors behind', please visit our 'Client Testimonials' page. Our expert team are available by calling +44 (0)1254 277190 or by email info@brickweb.co.uk to offer further information or to arrange a free consultation.